This changed the whole feel of the kitchen. 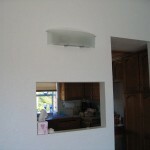 We then removed a partition wall that divided the Great Room and the Kitchen. This gives a beautiful view of the “Back Bay” and the Pacific Ocean. 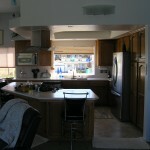 We removed the old eating bar/ range cabinet and all the old tile counter tops through out the kitchen. 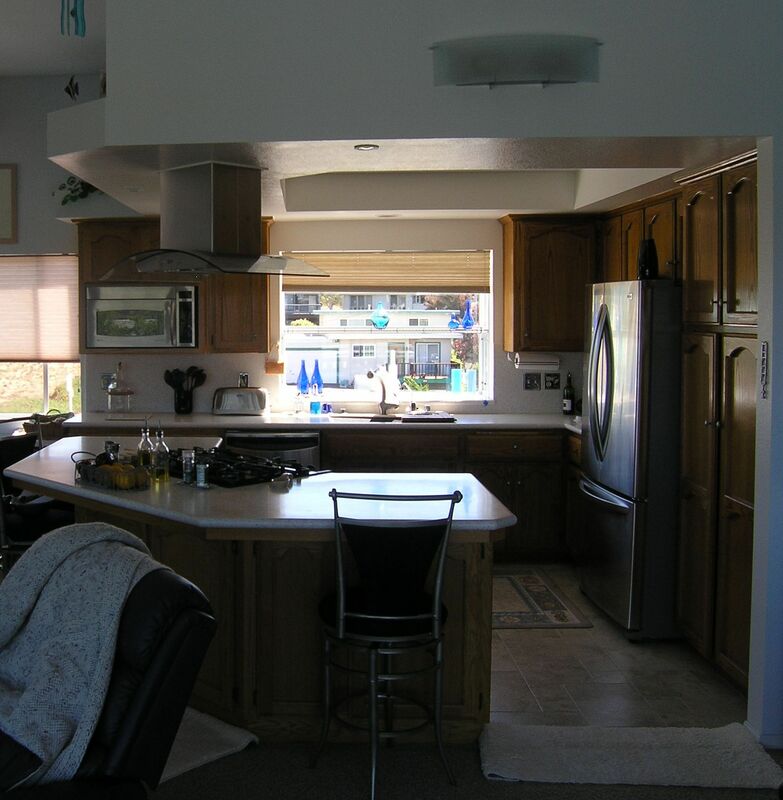 This allowed us to install an island cabinet and hood, a break front cabinet with microwave to give the kitchen more cabinet space and a solid surface top with composite sink and full back splash. Special task lighting was added to the ceiling to replace the fixtures we removed more light where most need with less wattage. In the Master Bath we removed the old tile top and sink and replaced it with a solid surface top with two integral sinks. We had to expand the plumbing in the cabinet area to accommodate the second sink. We moved the laundry from the garage to the bonus room. 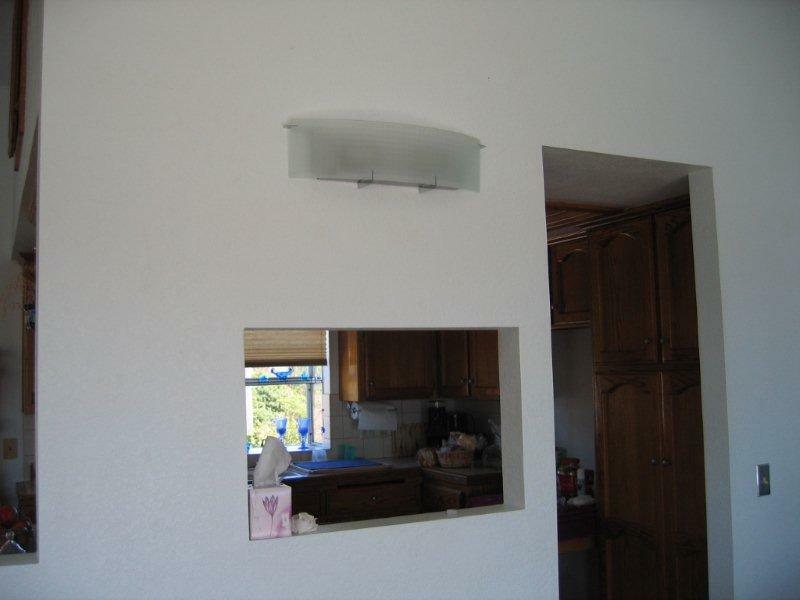 We put a partition wall up with a pocket door to create a spacious laundry room with a laundry sink and tile flooring. The Entry was recessed 8 feet which cave like. We moved the entry doors out 4 feet allowed for a new 4 feet by 6 feet tile Entry. Finally we installed hardwood flooring in the Bonus Room, old entry area, and hallway.